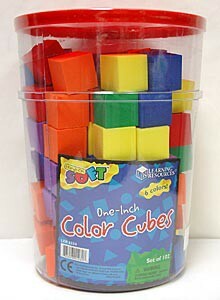 Set of 102 1" soft foam color cubes. Made of durable material in six colors. Use for increasing visual discrimination, fine motor skills and understanding of basic math concepts. Recommended for grades pre-K and up.